I am beyond excited for the summer. In just a few short weeks, the pools are going to open up, the farmer’s markets will be in full force and all of our friends will be getting together for cookouts by the fire. I tend to cook a lot more in the summer and love using fresh fruits and vegetables. Last minute plans seem to be a repetitive reoccurrence in my life. Last summer there were so many last minute get togethers that I would have to scramble foods together. I’ve taught myself how to make recipes that have cohesive ingredients, so it saves time and money! 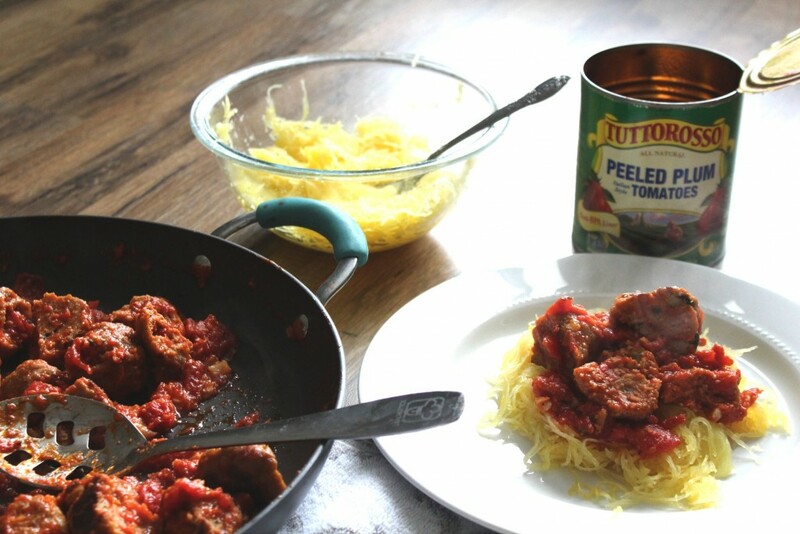 One of the most important things to keep on hand is a can of Tuttorosso tomatoes as they are so versatile. Last night, I had some friends over to enjoy delicious chips and salsa on the patio. It was gorgeous outside yesterday, which was nice because we had a pretty cold weekend. I was in the mood for chips, salsa and guacamole! I thought it would be cool to make a guacamole and salsa using the same ingredients with some slight changes. This takes the time away from cutting up extra veggies, purchasing additional ingredients and it’s so much more convenient. 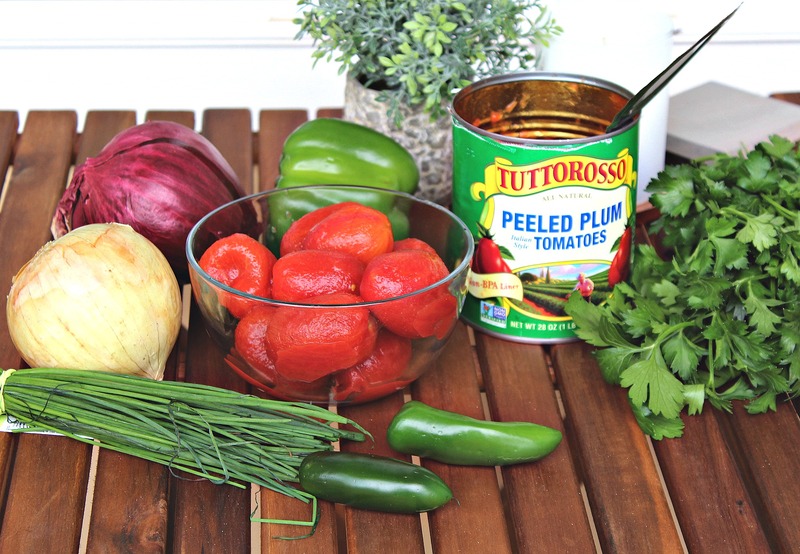 A couple months ago, I made a delicious homemade sauce using Tuttorosso tomatoes and it was such a huge hit. I’ve actually made this sauce five times since and I can’t get enough. My friends love it so much that I can the sauce in a mason jar and send the leftovers home with them. The tomatoes have everything to do with the flavor of the sauce and I know this because I tried to make it without the Tuttorosso tomatoes. I’ll never do that again. 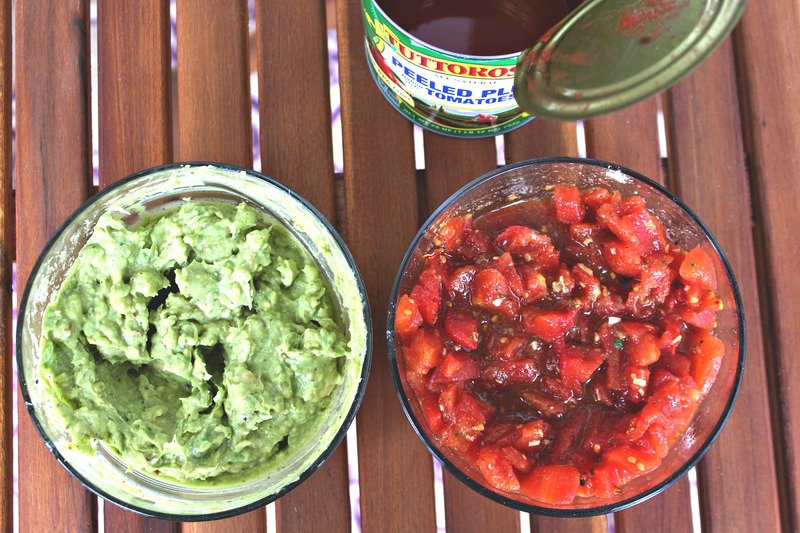 I decided to give the salsa and the guacamole recipe a shot using Tuttorosso tomatoes. 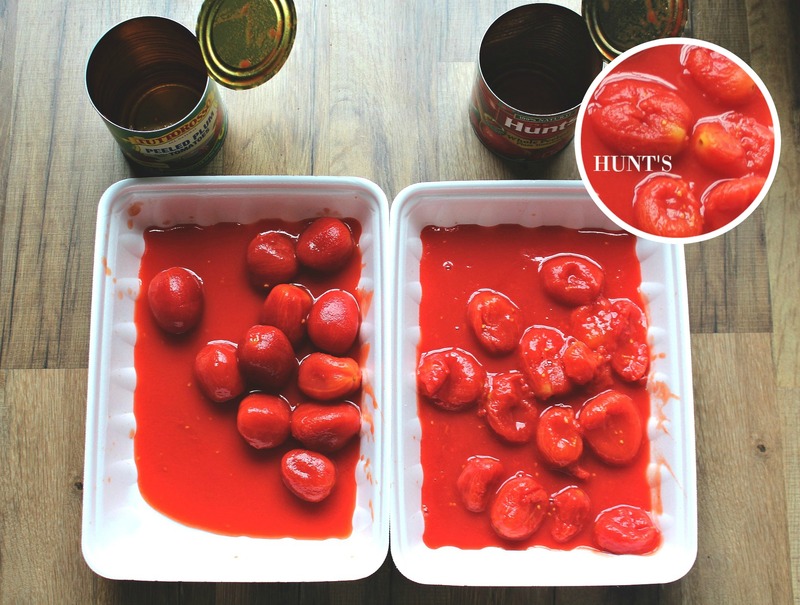 Drain the juices from the can and chop up the plum tomatoes. Mash up the avocados in a mixing bowl. Add salt, pepper, garlic, and minced onion to the avocados to taste. I like mine extra garlic-y. Do the same to the tomato bowl. Add 1/4 cup of the tomato mixture to the bowl with the avocados. 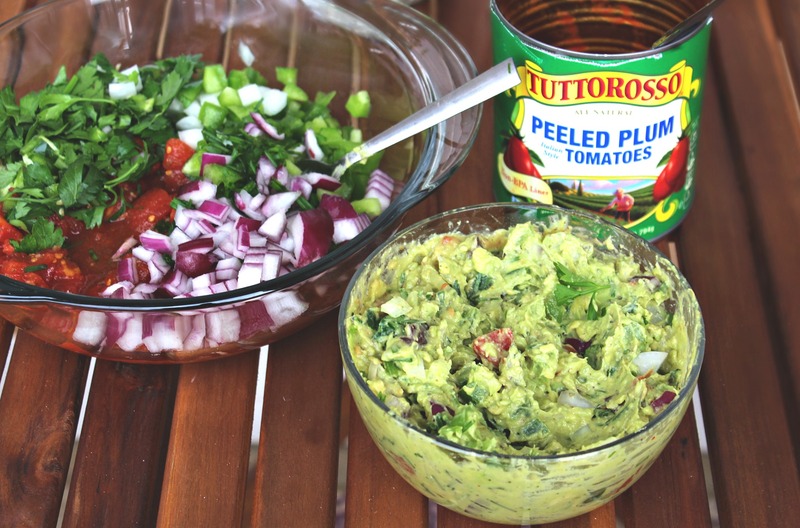 Add two tablespoons of red onion, two tablespoons of sweet onion, two tablespoons of bell pepper, one tablespoon of jalapeños and one tablespoon of Italian parsley to the avocado bowl and mix. Add the remaining vegetables to the bowl with the tomatoes. Mix up the guacamole and take some taste testing bites. It may need more salt, pepper, or garlic! You can also add lime for an extra kick. Add brown sugar to the tomato salsa and do the taste test to determine if it needs more seasoning! I was so thrilled with how the salsa and guacamole turned out. I made it in twenty minutes and it was super easy. You can customize it anyway you’d like and add all your favorite salsa ingredients. I think it would be good with black beans and corn next time! 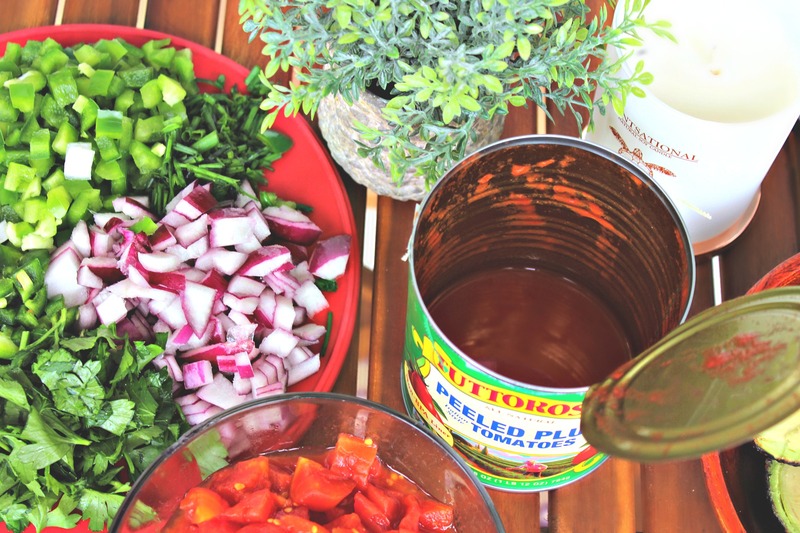 If you have the time, I also suggest chilling the salsa and guacamole for about twenty minutes – it will lock in the flavor of the tomatoes. 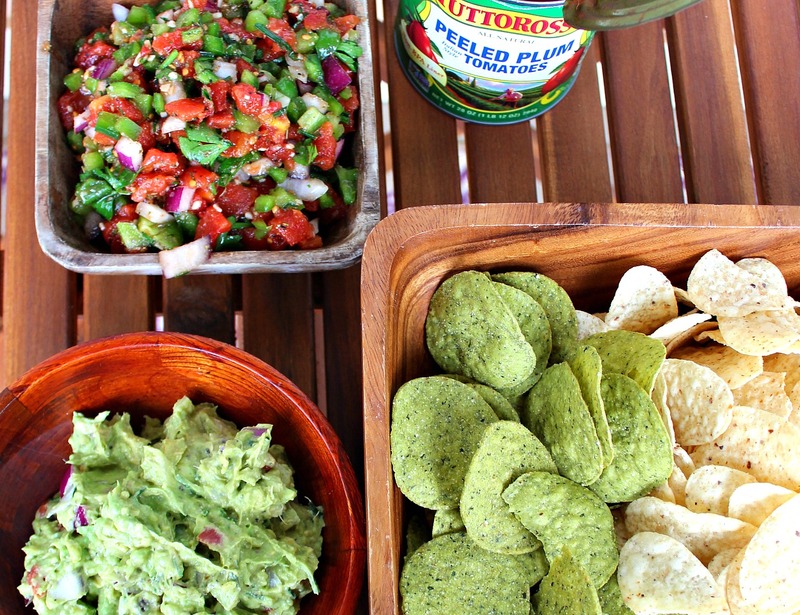 My friends and I sat out on the patio, listening to some of our favorite music, and ravenously devoured the entire bowl of salsa and guacamole. We were insatiable. I love fresh, wholesome food with healthy ingredients that I can trust! It makes last-minute cooking simple and delicious. Tuttorosso truly believes that the most important ingredient is you. The tomatoes are all natural and their cans have a BPA free lining. Genius! I love eating my favorite foods and feeling completely nourished afterwards. Tuttorrosso has so many great recipes on their website and you should definitely check them out! 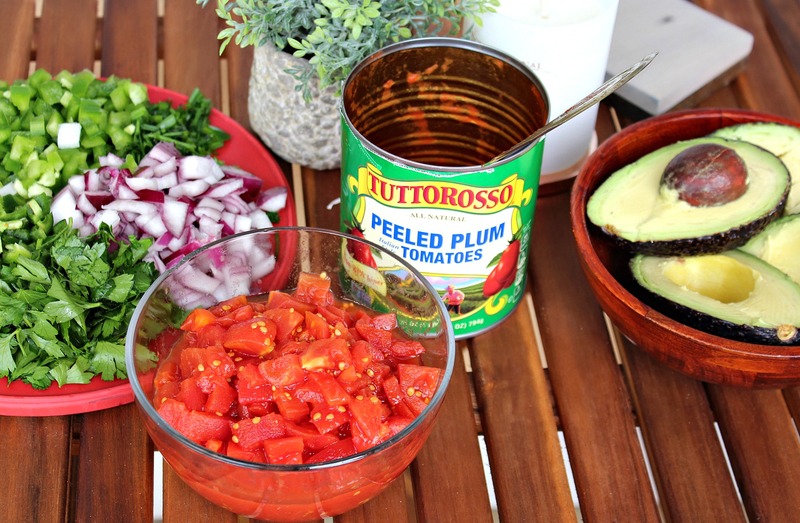 Don’t forget to check out my Tuttorosso challenge to see why I LOVE their tomatoes. 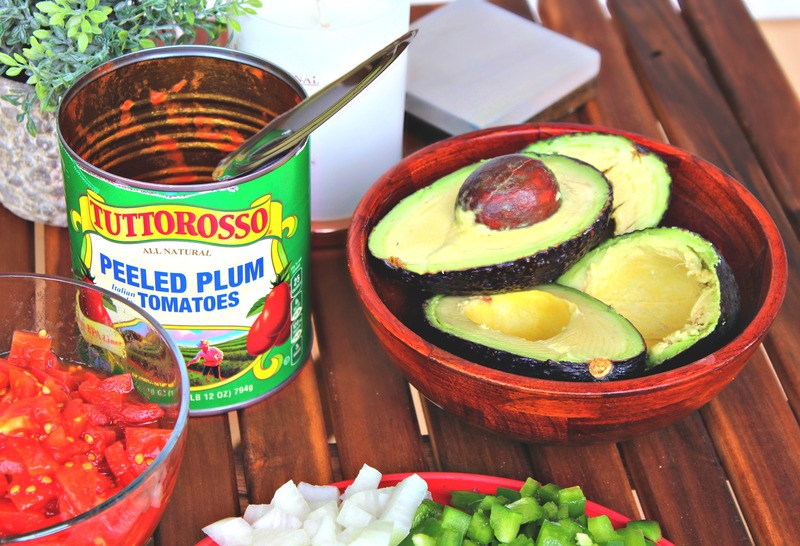 Thank you Tuttorosso for partnering up with me on this delicious post! Do you have a cohesive combo that you like to cook up last minute? What is your favorite summer dish that is fresh and delicious? What is your favorite part of summer nights? This looks so yummy, I can’t wait to try! Have you ever had roasted plantain chips from Trader Joes? 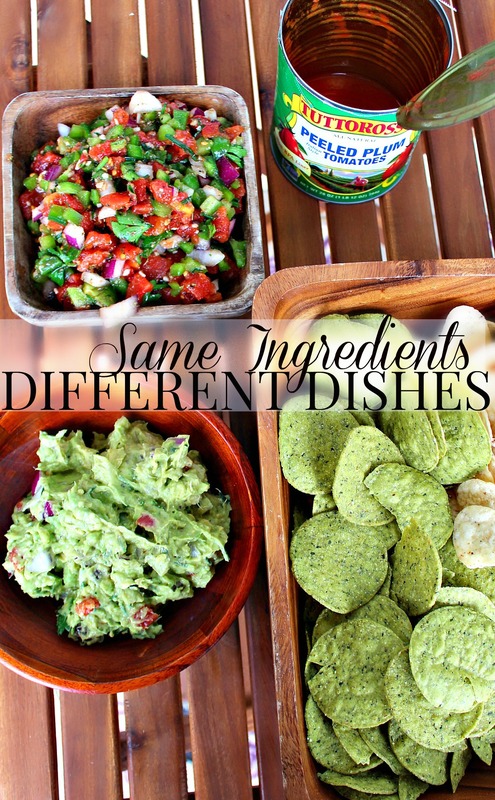 I love mixing it up and using them alongside tortilla chips! Having the two jalapenos in there, is it really spicy? I would love to make this for a dinner party that I am going to this weekend and there will be kids there. Thank you! It’s not TOOOO spicy, but it does have a kick to it. Sometimes to reduce the spice, I like to remove the seeds and sauté the jalapeño peppers with olive oil. That way you still get the jalapeño flavor with less of the spicy factor! I made this last night to go on top of our black bean burgers and it was a huge hit. I loved the idea of adding garlic and a little brown sugar to the recipe. I don’t think I’ll make it any other way now. So glad you loved it:) It’s an odd combo but adds so much flavor! I add the same flavor to my sweet potatoes! I am on a HUGE tomato and avocado kick right now, they’re all I want to eat. I will definitely be trying out these recipes! But why the brown sugar? The tomatoes should be sweet enough on their own…especially if they were fresh. I prefer a sweeter salsa. Also, the amount of brown sugar is very small per serving and I just like it better. You don’t have to add it. It’s optional. Hmm..I’ve never hear of it that way before. I might have to give it a go. 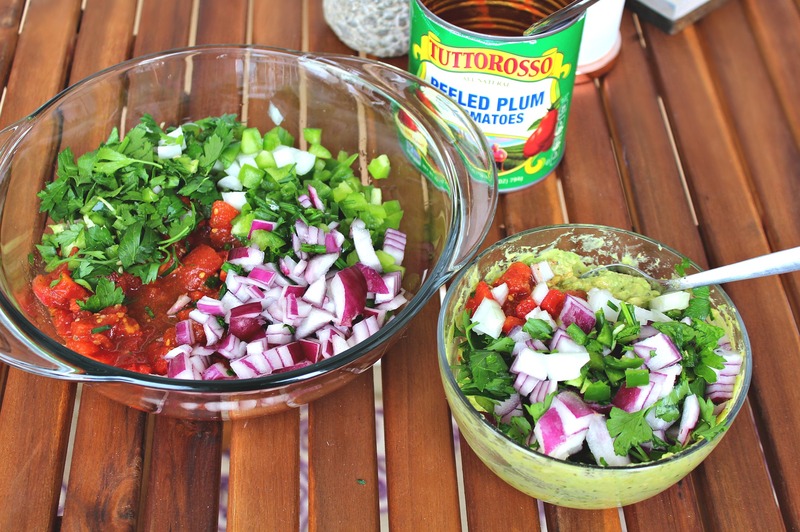 I have been obsessed with your Tuttorosso sauce recipe so I need try the guacamole and salsa! We have a potluck at work next week that would be perfect for this. 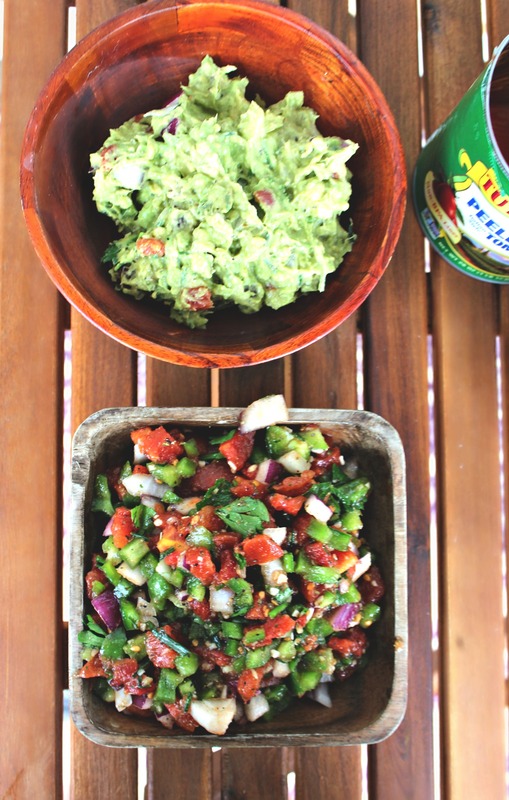 Guacamole and salsa are two of my favorite foods! I would have eaten all of it too. 😉 I like this recipe since it does have all of the same ingredients. That would make it so simple! I have a friend that puts corn in his guac and it is sooooo good! I love the two combos! When queso is added….yum! I love corn in guacamole. It gives it a fun texture and a little sweet kick! Black beans are also surprisingly good in guacamole. 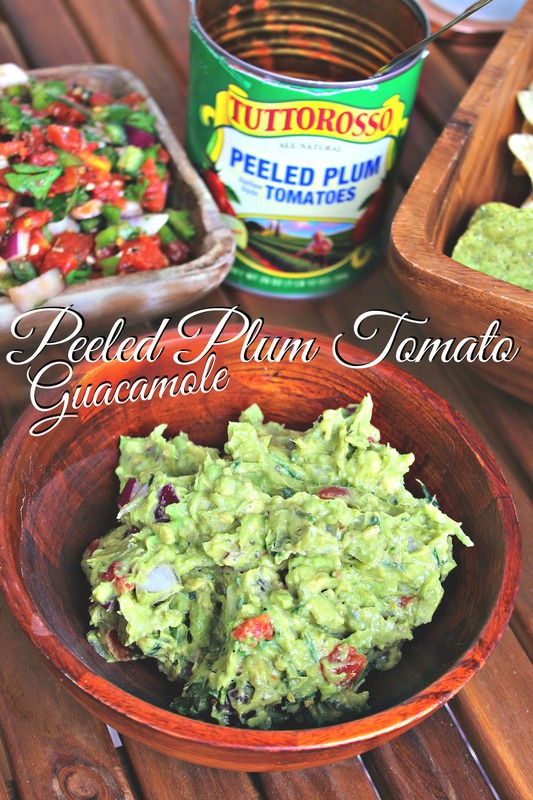 I love all the extra veggies in you gauc, and I have all the ingredients to whip this up. 1. Peach BBQ salmon (peach jam, a little soy, olive oil, fave Q sauce, and a little something spicy), corn on the cob, an Asian inspired slaw or salad. 2. Fave dish- RIPE TOMATOES!!!! any which way. 3. How long evenings are, I love how late it stays light. PS- What are those yummy looking green chips!?! I love adding in the veggies to the guacamole. It gives it some extra crunch and extra flavors. 1. That sounds absolutely delicious!! 2. Ripe tomatoes in the summer are great. I like to mix them with cucumber, greek yogurt and dill! I don’t have a favorite cohesive combo, but I’m sure if I found one my grocery shopping would become a lot smarter! Do you have any non-tomato suggestions? I love fruit salsas! So refreshing and delicious! Otherwise anything on the grill is my favorite for summer since it’s finally nice enough to be outside! I love how late it stays light out in the summer, and being able to do tons of outdoor activities like swimming, camping and biking. This summer though, my favorite thing is going to be the trip to Ireland I’m taking in July. I like to make sure all the meals I’m making throughout the week are cohesive together. I do that by writing out the recipes and grocery lists. If I use ground turkey for a burger one night, I’ll use the rest of that ground turkey in a stuffed bell pepper the next night. That kind of stuff saves you tons of money! I also like anything grilled as well. I can’t wait to grill veggies and chicken all summer. You are going to have a BLAST this summer! Enjoy Ireland!! 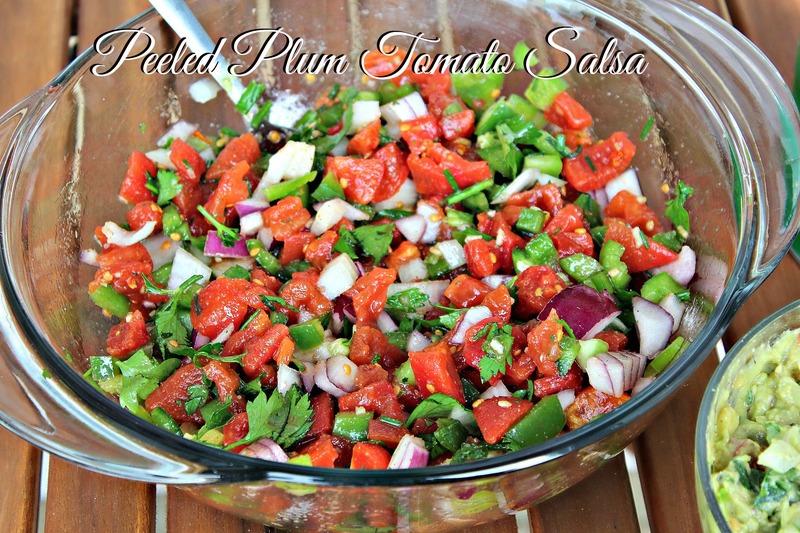 Oooh, I’m definitely gonna have to check out the peach salsa recipe!! Thanks! My favorite summer dish is salad with grilled chicken and lots of different veggies/fruit/nuts. I really enjoy relaxing outside by the pool on summer nights. I have never heard of putting brown sugar in salsa. I thought that was interesting. I love love love grilled veggies/chicken in the summer! Pool nights are the best!! Both of these recipes look SO good that I literally just added Tutorosso tomatoes (and the other ingredients) to my shopping list so I can make these tonight! My go to last minute dishes are a meat and cheese spread and bruschetta! 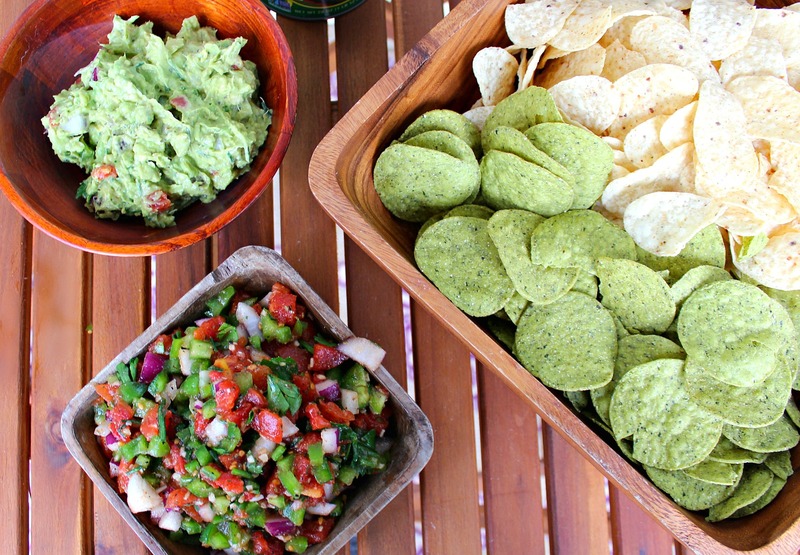 Salsa and Guac with chips or mini quesadillas are usually a go to also! A favorite summer dish of mine is a greek salad! The mix of fresh cucumbers and tomatoes with a light greek dressing hits the spot on a hot day! The best part about summer nights to me is that they last SO long! As soon a we hit the time change and it says lighter later I know that the long summer nights are coming! Nothing more relaxing than being able to hang out outside until dark! MEAT AND CHEESE IS MY FAVE!! Greek salad is always good 🙂 I found delicious pita/falafel chips that make it even better. I like adding chickpeas to my Greek salads.